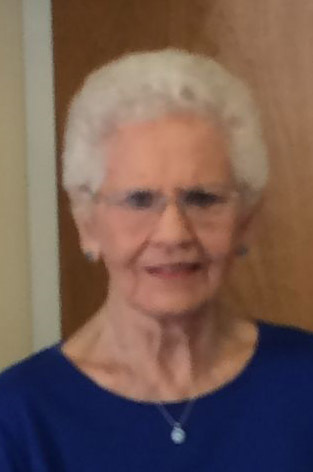 Joan Myers Crow Wisel, age 91, of Roanoke, passed away Saturday, January 26, 2019 at 7:53 am at Visiting Nurse & Hospice Home, Roanoke. She graduated from Huntington Township School in 1945, and was a homemaker. She was a member of Seminary United Methodist Church, Roanoke, and the Red Hat Society in Texas where she and her husband spent the winters for over 20 years. She enjoyed crocheting (especially baby blankets for her great-grandchildren), camping, traveling, reading and coloring. Joan was born April 4, 1927, in Huntington, the daughter of K.D. and Helen (Hilyard) Myers, In March 1947, she married Joe Crow and he passed away in August 1978. She then married Robert Wisel in September 1979 and he survives in Roanoke. Also surviving are 4 daughters Linda (Joe) Hoch, Patti (Rick) Fritz, Karen (Mike) Switzer, and Debbie Sutton all of Roanoke, 8 grandchildren, 16 great-grandchildren, 4 step children Holly (Dave) Tarr of Roanoke, Sherry (Jim Pepple) Haag of Fort Wayne, Dan (Kathy) Wisel of Roanoke, Amy (Glenn) Kite of Fort Wayne, 8 step-grandchildren and 24 step-great-grandchildren. Visitation will be held Monday, January 28 from 5-8 pm at Roanoke Memorial Chapel of Deal-Rice Funeral Homes and Tuesday, January 29 from 12-1 pm prior to the 1:00 pm funeral service at Seminary United Methodist Church. Pastor Joshua Johnson officiating. Burial will follow in Mt. Hope Cemetery, Huntington. Preferred memorials are to Seminary UM Church or Visiting Nurse & Hospice Home, c/o Roanoke Memorial Chapel, 240 Crestwood Drive, Roanoke, Indiana 46783.